After a super long 25 year hiatus, Twin Peaks returns to television next month as a limited event series on Showtime! 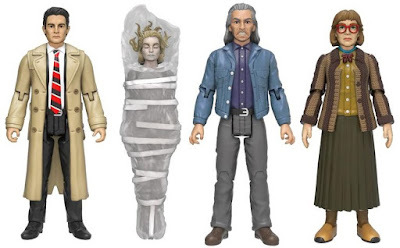 To commemorate the premiere of Twin Peaks Season 3, Funko has announced it will be releasing a new line of articulated action figures based on David Lynch and Mark Frost’s cult classic TV show. 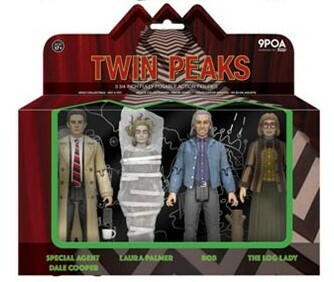 The Twin Peaks Action Figure Box Set includes four figures: Agent Dale Cooper, Laura Palmer (Wrapped in Plastic), The Log Lady and the evil Bob. 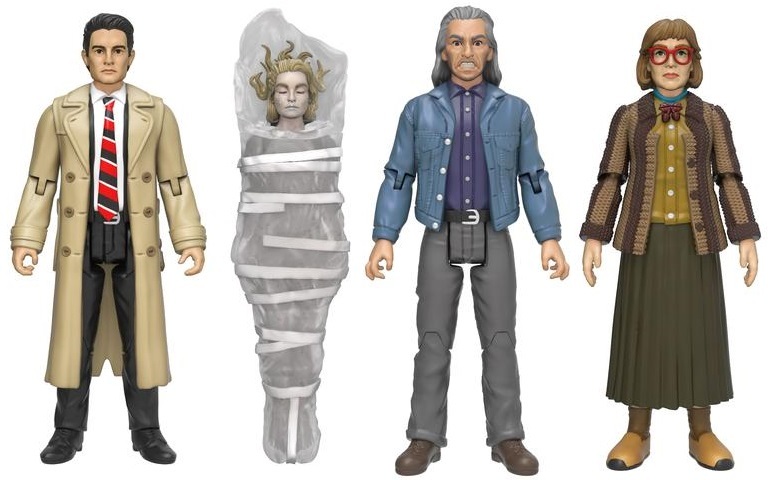 Each Twin Peaks action figure stands 3.75” tall and features 9 points of articulation. This Twin Peaks Box Set comes packaged in a full color window box and can be pre-ordered now at Entertainment Earth for $29.99 here.